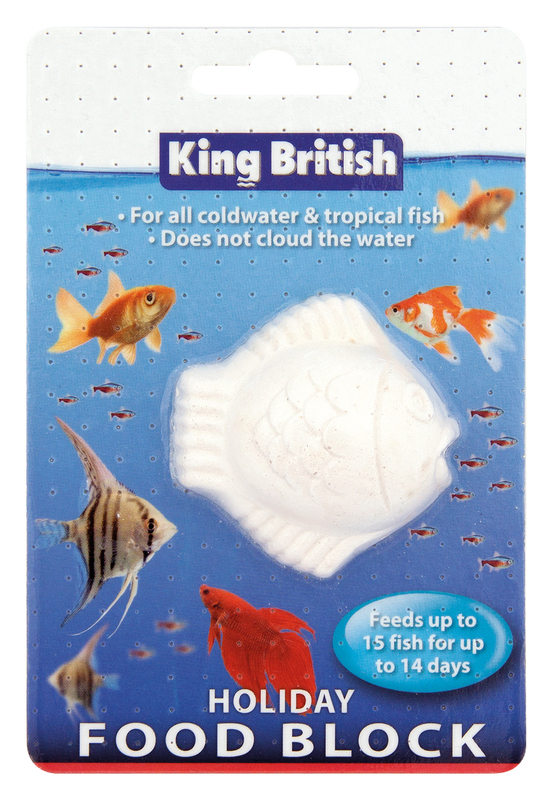 King British Holiday Food Block is a complete pet food for all tropical and coldwater fish. Fish can survive for relatively long periods of time on very little food, as they have to do in the wild from time to time. King British Holiday Food Blocks are the ideal way to provide as much nutrition as required while you are away from home. This special formulation includes all the necessary proteins, minerals and trace elements to keep fish healthy, active and colourful. Lasts for up to 14 days. Does not cloud the water. There are currently no questions for King British Holiday Food Block - be the first to ask one!